Two divers, father and son, from Bulgaria's Black Sea city of Burgas, found in the waters near the historical town of Sozopol an utterly intriguing statue. 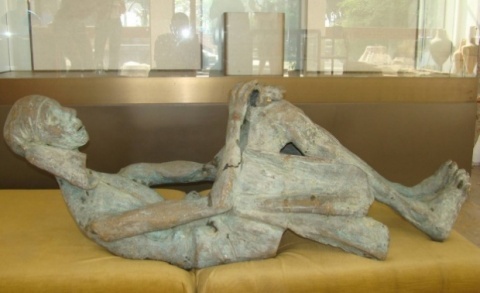 The bronze statue, located at a depth of 2 meters, some 20 meters away from the shoreline, portrays an elderly woman in a sit-down position. It is 1.4-meter tall and believed to be modern, not ancient work. The Director of the Archeological Museum in Sozopol, Dimitar Nedev, has been notified. Nedev, together with two other experts from the National Archeology Institute and Museum at the Bulgarian Academy of Sciences, BAS, have already done an initial examination. The statue is temporarily kept at the Sozopol museum until its origins are definitively established.